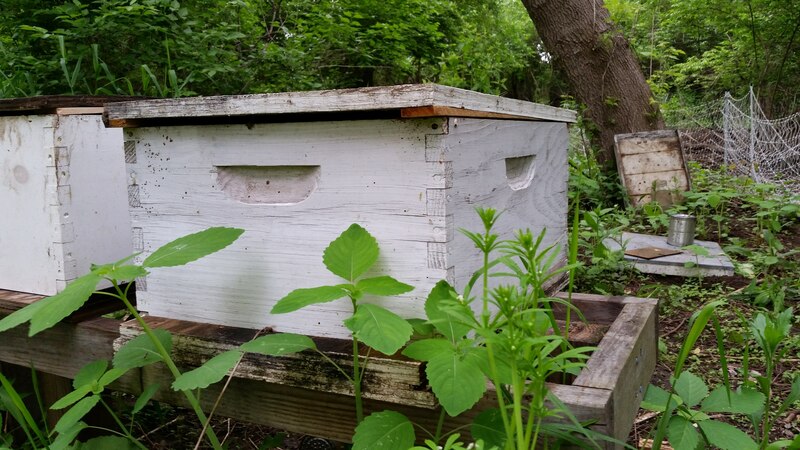 I got two packages of bees and installed them in hives. When I tore the have apart in the spring I found a family of mice had moved in and I believe that is why the bees didn’t make it through the last two winters. I thought that I had solved the problem last fall by turning over the bottom board to the narrow opening. This year I’m going to try Michael Bush’s method of only having a top entrance created by putting shims under a migratory cover. This creates an opening that in theory mice cannot get into. However I had 10 frames almost full of honey so I put 5 in each hive so this should get these off to a good start.